Still have a question. 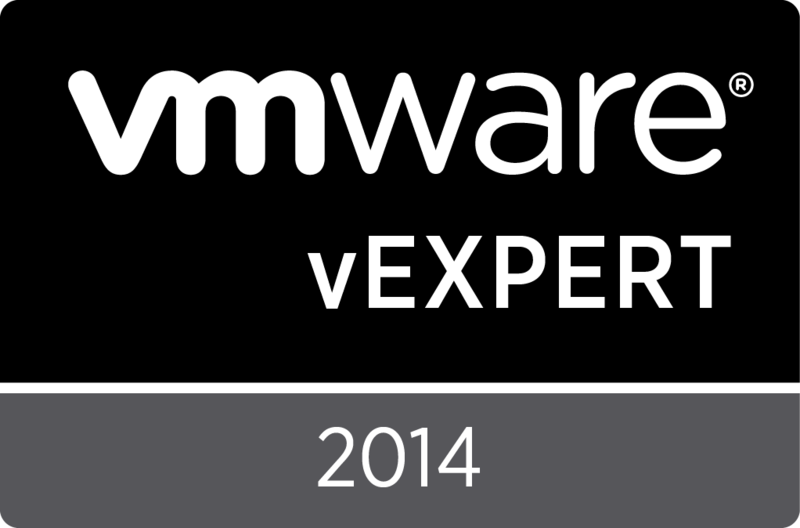 In a Vplex Metro environment I can still have local virtual volumes (besides the distributed volumes). Now I want protect these local volumes to the other Vplex (with RPA). 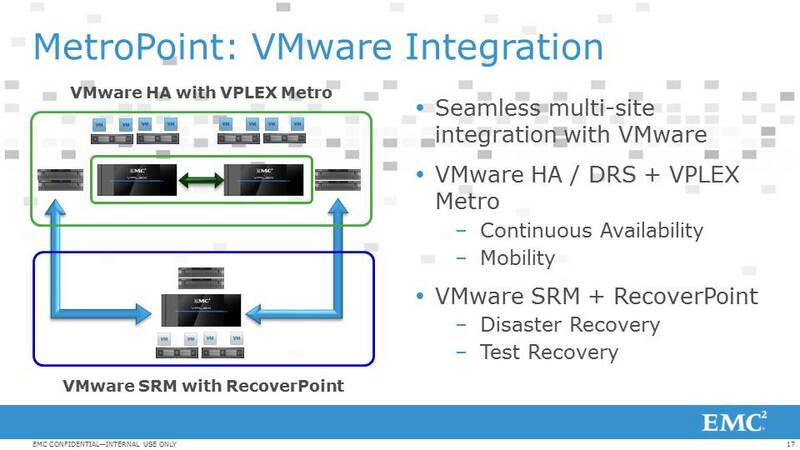 Can this be done in the VPLEX metro environment? 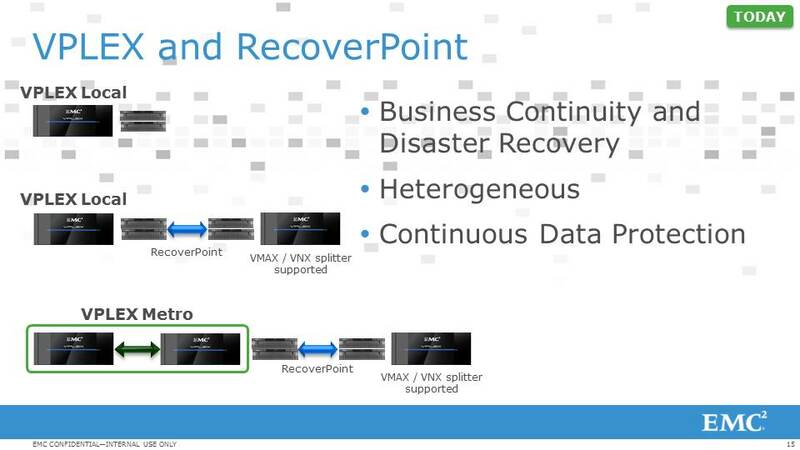 The slide with supported topologies does not show this, only VPLEX (metro) to VMAX/VNX are shown. 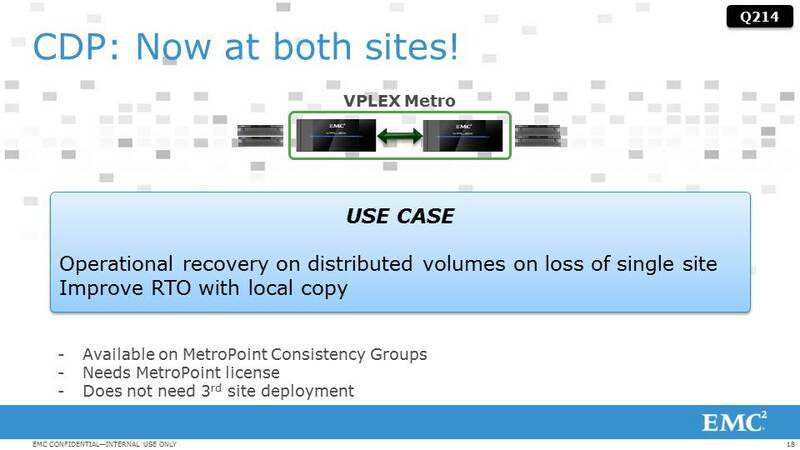 In other words, can one protect a local virtual volume with RP across a VPLEX Metro (to the second cluster). Answer is yes – you can. 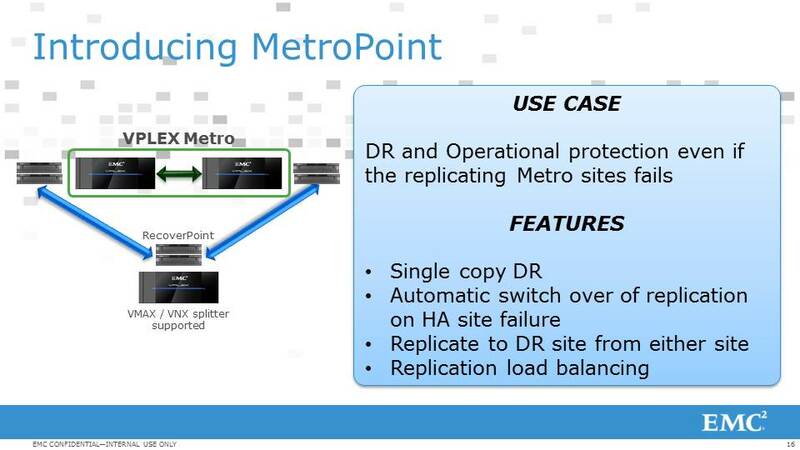 How is the SRM Protected Site leg handled, considering that it is one logical site from a VMware perspective with 2 separate RP clusters and that the replication can come from either one of the clusters (depending on the preference rules applied in MetroPoint). How do you go about adding the array managers from an SRM perspective. Can’t find any documentation on that yet.